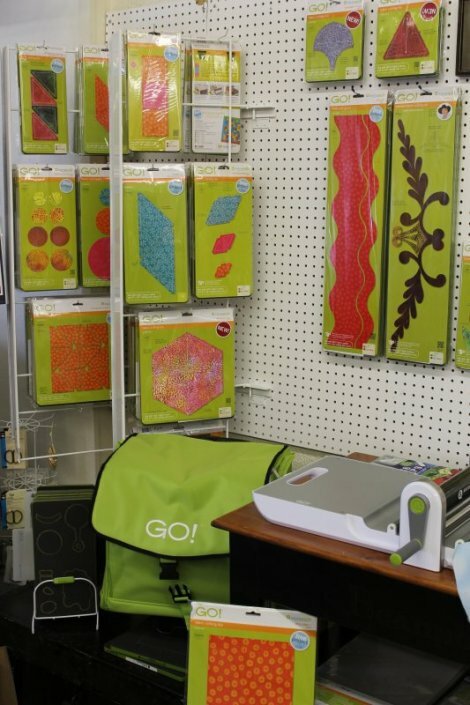 We are proud to be an exclusive dealer for the Accuquilt Fabric Cutting System. The Accuquilt allows you to cut your fabric faster and with more accuracy than with scissors or a rotary cutter. This is a very simple system that uses dies and the simple turning of a crank to cut your fabrics - up to 6 layers at a time! 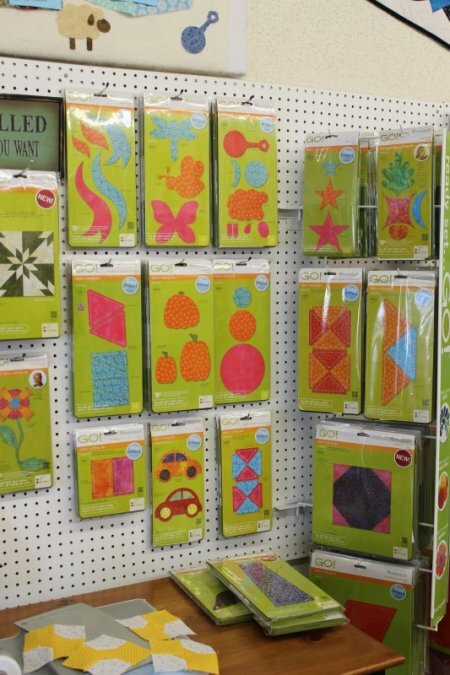 The dies come in a variety of shapes, sizes, and designs for both piecework and applique. We carry many dies, including some that are exclusive to dealers like us, which you will not find in other stores. In addition to the machine and dies, we also carry storage racks, and a convenient wheeled-carrying case for travel. Stop by for a demonstration! 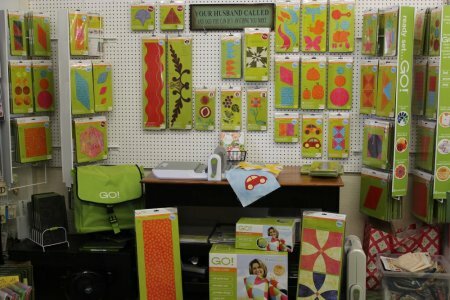 If you already own an Accuquilt, come check out the new dies. If there is one that you are looking for we can order them for you as well.